Krista Jarrard has been a dynamic force as facilitator, trainer and pioneer in the evolution of the Systemic Constellation work for over sixteen years. Krista brings a deep intuition and remarkable scope of wisdom to her practice with clients worldwide. Krista is passionate about supporting the current shift in consciousness by working with clients to transform their ener-genetic inheritance of the family linage. She has brought this multi-dimensional healing to clients around the world, and to international communities for awakening including CoreLight, and The School of Knowing in Tokyo, Japan. She is the founder of the Center for Systemic Healing, and creator of Healing at The Heart of the Matter Immersion Learning Program. As a first generation US facilitator Krista has extensive training with the works originator, Bert Hellinger, in US training's and Austria for Advanced Family Constellations, Hellinger Sciencia and Movements of the Spirit Mind. She is one of only 30 graduates of the Gabrielle Borkan Institute for Systemic Constellation Work. From this training the more spacious and feminine approach to working with Constellations blind, emerged. She offers her work through workshops, teleclasses private sessions, learning programs and Remote/Telephone Constellations. She is the creator of the Nine month Immersion Learning Program, a profound journey into the mystery and the magnificence of life, as experienced through the morphogenic field of the Constellation. Krista is acknowledged as a leading facilitator in the field of Remote (Telephone/Skype) Constellations, an advanced method of accessing "the field" for healing beyond the boundaries of space and time. She is a graduate of Universal Pulse, Power Communications, and, Bridge to the Soul, training's for personal and professional transformation and evolution. As a third generation astrologer Krista is a Certified Astrological Professional (CAP) by The International Society for Astrological Research. Krista is a certified Jin Shin Jyutsu practitioner which she utilizes to integrate the Constellation solutions and movements of the soul with the physical, in Constellation follow up sessions. Krista's work with Family Constellation Work has been featured in national publications such as Natural Awakenings Magazine. She is a proud member of the The Open University for Complementary Medicine. 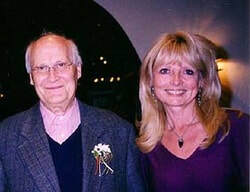 Krista served as Dr. Bert Hellinger personal assistant at The World Congress for Complementary Medicine USA, May 2007.